Where are Our Earth Queens? As some members here knows, I support Miss Earth the most amongst the BIG 5 Pageant. Not because of where I'm from, but because I believe that this organization has tons of potential to spread awareness regarding their cause. 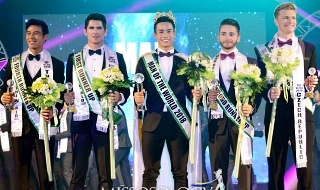 I understand that it may not be Miss Earth's season, nor should she always be in the news... (I am happy though that this year's winner has a lot of activities in her home country) however I feel a bit sad that almost six (6) months in, the set of winners are not getting the much activities and travels they deserve to be getting. I am not sure why they are not getting much activities outside of of their countries, but I seriously do hope the organization itself tries a bit harder in promoting their current elemental queens. I believe that ME2018 is not just a pretty face. I see that in some of her posts, she is really promoting the brand in her home country... but I honestly wish her more (yes, even if it's not the same level as the other BIG 5 QUEENS for 2018) and hope she gets to deliver the cause of the organization further outside her country. 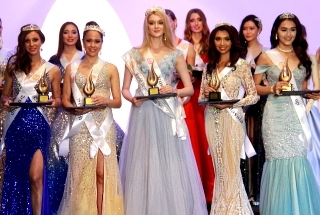 Miss Earth's 2018 elemental queens, for me, are very capable (I'll be honest in saying that I do think that there are better batches in the past) and I hope that MEO takes advantage of these gems. I don't think being called as a BIG 5 Pageant is enough. 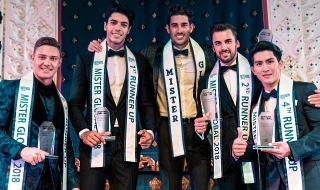 I think that there should be enough reason to be called such... else, the same organization may cause the pageant to suffer the same fate as the one they were previously handling. Re: Where are Our Earth Queens? stupid_jerk wrote: As some members here knows, I support Miss Earth the most amongst the BIG 5 Pageant. Not because of where I'm from, but because I believe that this organization has tons of potential to spread awareness regarding their cause. The 2 Top national pageants in the Philippines pushed back after the 2019 elections (June to July) rather than normally held in March to May (Bb. Pilipinas possibly with LCS' political campaign and MPE possibly with local government sponsors). Almost all the national pageants were held very late since Miss Universe. moved to November-January in 2012. Queen Ponkan's international tour will start this May in Mexico. Reminder that some international pageants allegedly paid the expenses at their own pockets instead from the sponsors that invited them. Kahit wala pa syang official travel abroad atleast busy pa rin sya sa bansa nya. At hindi basta basta lng mga event nya ha.. They're doing their duties in their respective countries. AS WE ALWAYS SAY TIME AND TIME AGAIN, YEAR AFTER YEAR, MISS EARTH QUEENS START THEIR INTERNATIONAL TRAVELS ON MAY UNTIL THE CORONATION NIGHT. THIS YEAR PONKAN IS NOT ABLE, IN MY OPINION, TO TRAVE TO THE PHIILIPPINES BECAUSE OF ELECTIONS.